James Rainford was born in Meerut, India, on 15 November 1846. In 1883 in Sydney, he married Sarah Matilda and had two sons and two daughters. He died in Sydney on 30 April 1900. 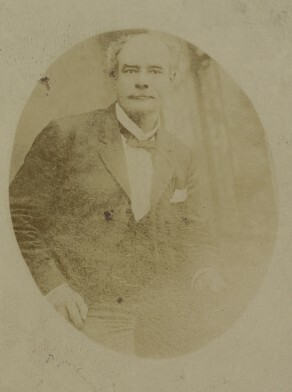 James Rainford arrived in Sydney as a child and had his stage debut in 1868. He became the stage manager for Alfred Dampier and Bland Holt. He was an actor and stage manager at the Theatre Royal and the Oliver Goldsmith Club. In 1871 he was living at Crown Street and in 1877 he was advertising himself as a comedian. He was the proprietor of the Cambridge Club Hotel in Oxford Street from 1880 to 1898. He lived in Stanley Street. He retired from Sydney and in 1898 was the licensee of the Tattersall’s Hotel at Orange NSW. Rainford was a superintendent of the Fire Brigade. He was the theatrical manager of Fort Street Superior Public School. He organised a carnival at Sydney Cricket Ground in aid of distressed actors. Rainford was Alderman for Cook Ward, 1 December 1890 to 30 November 1893 and again from 1 December 1896 to 16 November 1898 when he resigned.